Mr. Amador is a yearlong fundraiser run by thirty of Amador’s students. Their end goal is to raise money for the George Mark Children’s House. The George Mark Children’s House is a free-standing, non-profit care center for children with life-limiting diseases. They provide safe, excellent medical care and emphasize quality of life for no cost. “The house is a really special place that makes the kids feel at home. The medical staff on site hides the medical gear in each room to make the kids feel that they are in a bedroom, not a hospital room” said Mr. Amador director Lindsey Schroeder (19’). On Monday, November 26th during lunch, the 2018 Mr. Amador boys were revealed. The boys are submitted by teachers and then handpicked by a panel of Mr. Amador committee members. Members of the panel include: the two show directors, Amber Miller (‘19) and Lindsey Schroeder (‘19), and the two teacher advisors Mr. Benbenek and Ms. Kirksey. 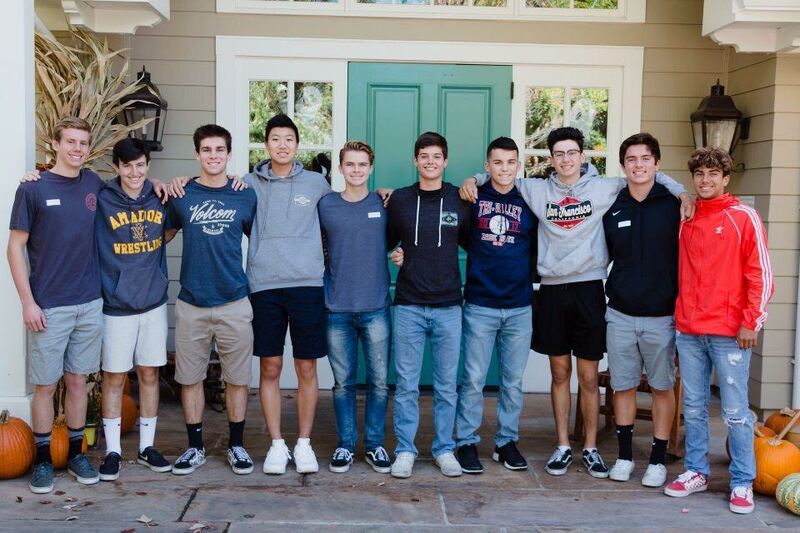 This year’s group of contestants includes 10 of Amador’s most well-rounded boys: DJ Miranda (‘21), Noah Marek (‘21), Trevor Asbery (‘20), Johnny Walder (‘20), Jacob Kim (‘20), Cyrus Berglin (‘19), Patrick Gallagher (‘19), Mason Shaffer (‘19), Coleman Wiley (‘19), and Brad Couture (‘19). “I am so excited to be apart of this program! The boys this year are such a great group to be with. I can’t wait to help raise awareness and money for the House with them,” said Noah Marek (‘21). In addition to the boys who participate, there is also publicity, talent, tech, and dance committees all working to help make sure Mr. Amador succeeds. Throughout the year the directors and the publicity committee plans school-wide fundraisers. “Along with restaurant fundraisers, we are working on some really cool events leading up to the show in April. For example, the Mr. Amador boys will be pairing with Creatures of Impulse in an improv show-off!” said Publicity Club member Ella Lindstrom (‘20). Students can see the Mr. Amador boys in action Saturday, December 1st at downtown Pleasanton’s annual Hometown Holiday Parade and tree lighting this Saturday at 5pm. If you would like to donate to the cause, you can use Venmo or this link: https://give.classy.org/MrAmador2019. If you have any further questions, email the directors at [email protected]. The goal this year is to raise around 60,000 for the children’s home.